Home Consultations, Specialising In Funerals and Weddings, Experienced and Personal Service. Flowers Say Everything... Let Us Say It For You, Flowers For All Occasions, Fresh Daily Deliveries, Weddings, Christenings, Funeral Tributes. Bouquets and Hand Tied, Traditional and Modern Designs, Weddings and Funeral Tributes, Balloons, Gifts, Chocolates, Indoor and Outdoor Plants, Online Ordering and Delivery. Traditional, Exotic, Flowers,Plants, Weddings, Tributes, Silk Flowers, Gifts and Balloons, Interflora Member. Modern and Traditional Flowers, Weddings, Special Occasions, Sympathy,Funerals, Exotic Varieties Available, Same Day Delivery, All Major Credit Cards. Bespoke Wedding Service, Out of hours consultations, Beautiful Bouquets, Floral Tributes, Corporate and Event Flowers, Experienced and Personal Service. Exotic Flowers Available, Hand Tied and Aqua Boxed Bouquet, Modern and Traditional Designs, Weddings, Funerals and Gifts, Corporate Work Undertaken, Plants and Glassware. Beautiful Bouquets, Buy Online, Fabulous Arrangements, Hereford And County Delivery, Beautiful Wedding Flowers,National Delivery By Courier. 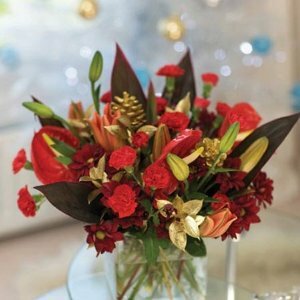 Interflora Premier Member,Wonderful Bouquets and Gifts, Free Delivery In Leominster, Weddings, Funeral and Sympathy Tributes, Professional Service.